Seven members of the club set up our T-TRAK layout at the TCA show at the Fairgrounds on Saturday, January 24, 2015. Since we did not have the full complement of two Junction modules we went with a 4-table U-shaped layout. Jim Kalenowski brought and operated the Speed matching layout using the 5th table. The NRMRC, along with our friends from Lynchburg and Northern Virginia, participated in the first World's Greatest Hobby on Tour Show held January 17 – 18, 2015 at the Raleigh Convention Center. What a great train show it was. There were more members of the public attending this show than any I have seen in 35 years living in this area. The dealers that I talked to were very happy. This bodes well for future WGH shows in this area. Well, another NRV show is under our belts. With this said, it always means the Christmas is not far ahead. The show was held in the Exposition Building at the NC State Fairgrounds. 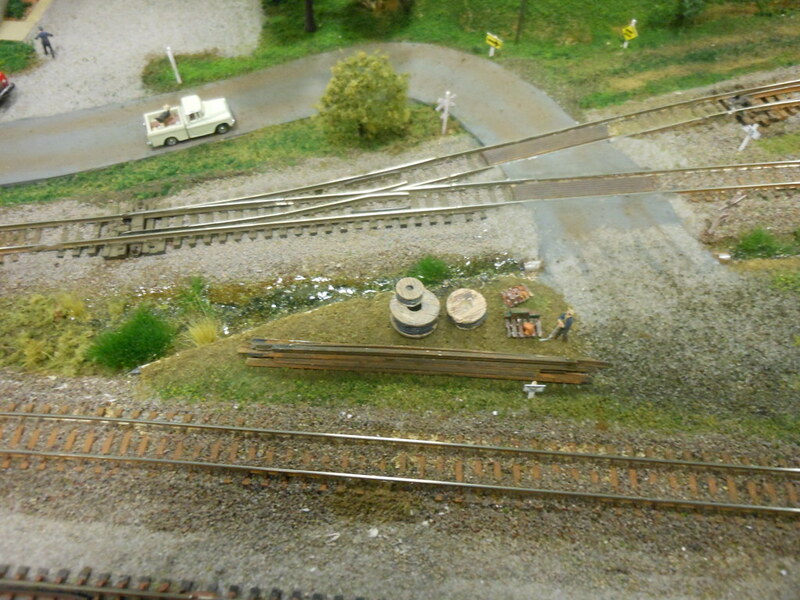 Our NTRAK layout was the same shape as the 2013 layout. A few modules were moved around so that a long orange line was created on one side and some shorter passing sidings on the other side. 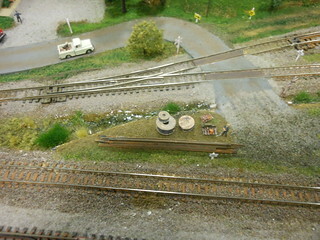 The overall layout was 16’ x 69’ consisting of a rectangle of 16’ x 32’ and a branch line connected via Red Rock Junction. This year there were more vendors that last and we had to extra room. The North Raleigh Model Railroad Club participated in a train show at Windsor Point Retirement Home in Fuquay-Varina on June 14-15, 2014, just as we have done in past years. It was a very enjoyable show for those of us who participated.